B2B ecommerce stands at a staggering $7.7 trillion USD. This is 3x the growth of B2C ($2.3 trillion) ecommerce in recent years and has made it evident that this segment of the online business is the virtual goldmine. We cannot deny the fact that it was B2C ecommerce that made the savvy online customers ask for more from business ecommerce. The mobile revolution and internet penetration have made it possible for enterprise businesses to overcome the limitations of brick and mortar business model and explore new territories that seemed impossible earlier. Taking a wholesale business online is a crucial decision and involves careful evaluation of many aspects. StoreHippo ecommerce platform brings a comprehensive guide to help with the most common queries that will help you make an informed decision while taking your wholesale business online. What is a B2B ecommerce solution? Business e-commerce or online B2B is the process of selling, marketing and distributing products and services between businesses using an online portal. Typically it is an e-commerce transaction between manufacturers and wholesalers or wholesalers and retailers. A B2B online commerce solution offers the complete set up to start, manage and run a wholesale business online. Such a solution is not only much bigger in scale and complexity than its B2C counterpart but also requires unique features to handle the workflows of a business to business set up. Why every wholesale business needs an online presence? With, 93% B2B buyers looking for products and services online before finalising their purchase it becomes imperative that your business has an online presence. Taking your wholesale business online has huge benefits. It not only saves costs hugely but also fosters efficiency at every level. With a business that can now go beyond geographical boundaries, you get the freedom to scale rapidly and get better conversions by entering new markets. Going online also enhances customer relationships and increases the average ticket size. If you are still in doubt, check out the strong reasons for taking your B2B business online. How to choose the best business to business platform? Once you have decided to take your wholesale business online you need to carefully evaluate the B2B ecommerce solutions that would power your business. The success or failure of your business would greatly depend on the ecommerce platform that you choose and hence this decision should be taken with due diligence. Your platform should be equipped to give you a technological edge and the site should work seamlessly on mobile and other hand-held devices. The features and functionalities should help in the growth and expansion of business and also make your processes smoother and faster. The ecommerce platform should be able to handle personalization for each client and also offer easy customization to accommodate your unique business needs. Before you finalize your solution provider refer to the detailed checklist prepared by Storehippo experts. Must have features and tools for your business ecommerce platform? After evaluating the core features of your enterprise ecommerce platform, you should also look for salient features that will help you with constant and rapid business growth. 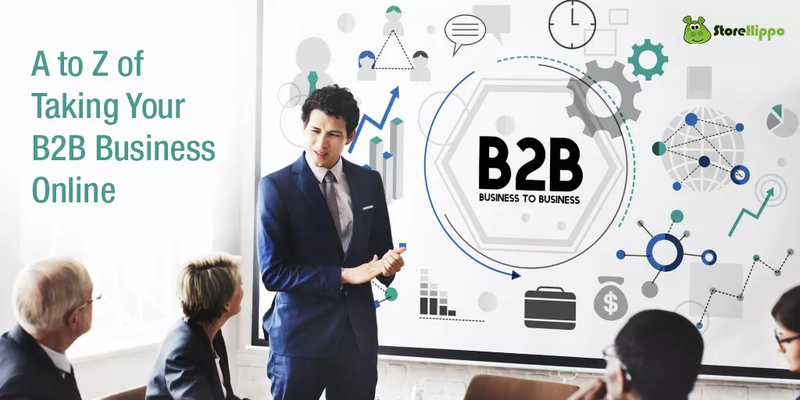 As we know B2B ecommerce has some unique flows and with the right tools and functionalities in place, you can create a brand that reaches out to audiences sans any geographical boundaries. Why are B2C features a prime requirement for a B2B ecommerce solution? B2B is vastly different from B2B. However, this does not mean that you can offer a less than perfect site to your customers who are used to seamless shopping experience on the B2C sites. Business ecommerce is complex but this does not mean that the customer has to bear the brunt and go through a complex buying route. How to avoid the mistakes that can ruin your online wholesale business? We learn from our mistakes. But wouldn’t it be better if someone forewarns us about the common mistakes that can be disastrous for our online wholesale business. Definitely, it would be! There are some common mistakes which can be easily avoided if you are aware that these can cost your business hugely. Storehippo has compiled a list of 7 most common yet avoidable mistakes that can save your business and help you grow. B2B ecommerce has huge potential for anyone who is ready to experiment and explore the markets. However, before you start you need to make the right and informed choices so that you do not make mistakes that might cost you dearly. Now that you have a handy guide with you, start your B2B ecommerce journey with confidence and share your experiences with us.